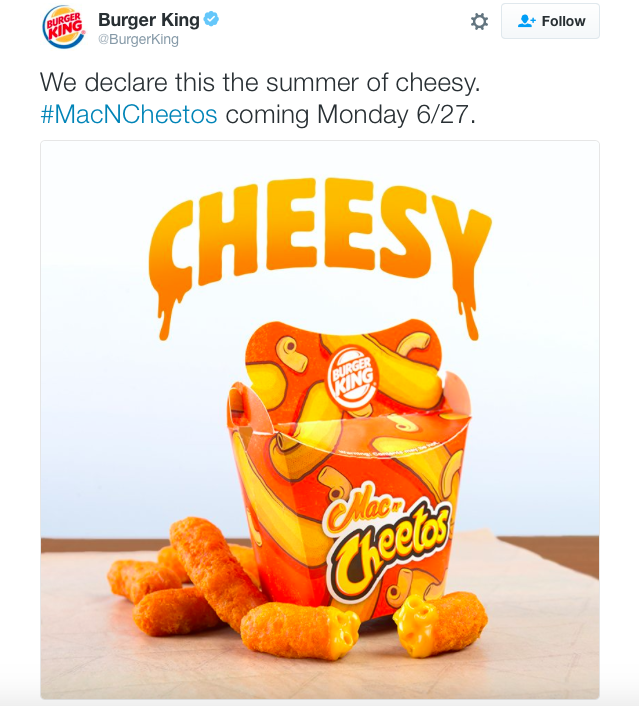 We heard Burger King was testing Mac N' Cheetos in California, and then recently some sites said it's available at participating locations nationwide. 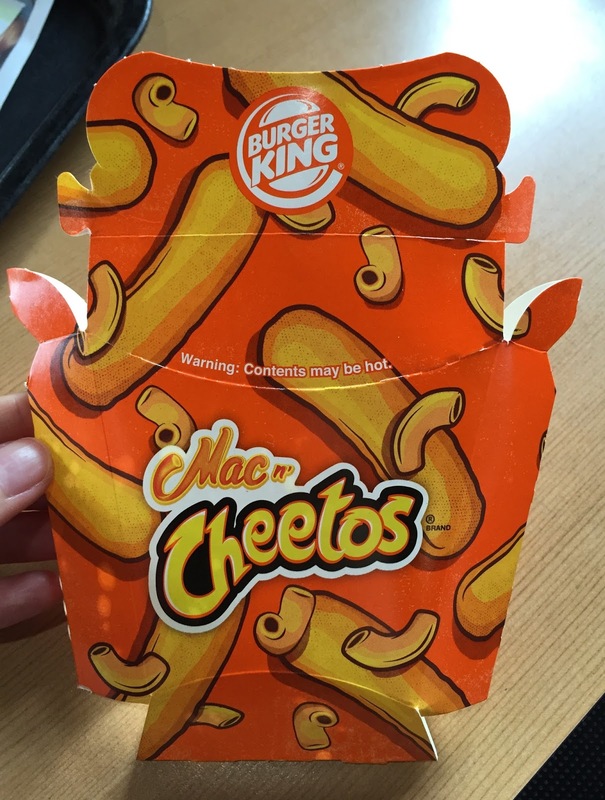 Today, we're lucky to spot the poster on the window of a branch in Milford, Connecticut and of course we made a quick stop to try it. 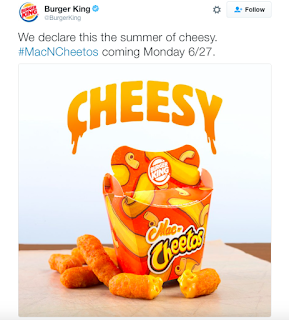 * Twitter says that it's available from June 27, 2016. 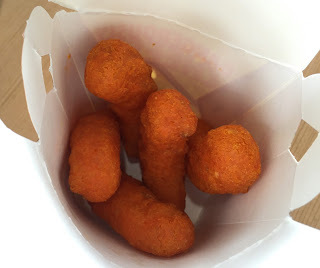 It's prepared fresh and the staffs said it's very good, and we're more than excited to try these. 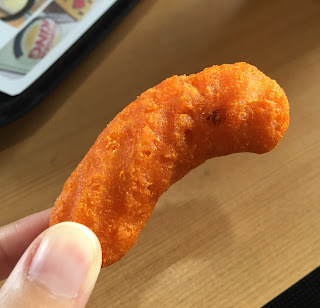 The shape was similar to Cheetos Puffs and thick, and it's slightly curved. 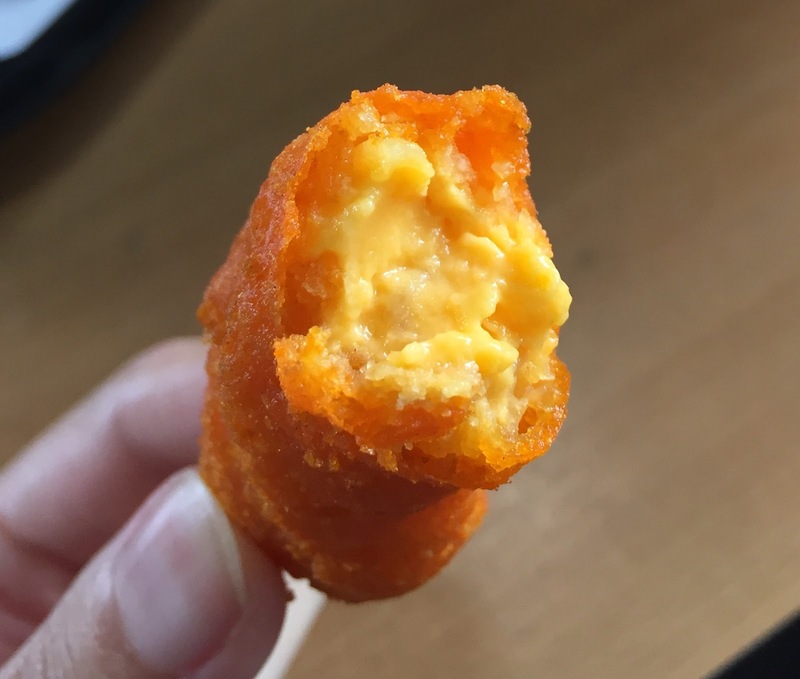 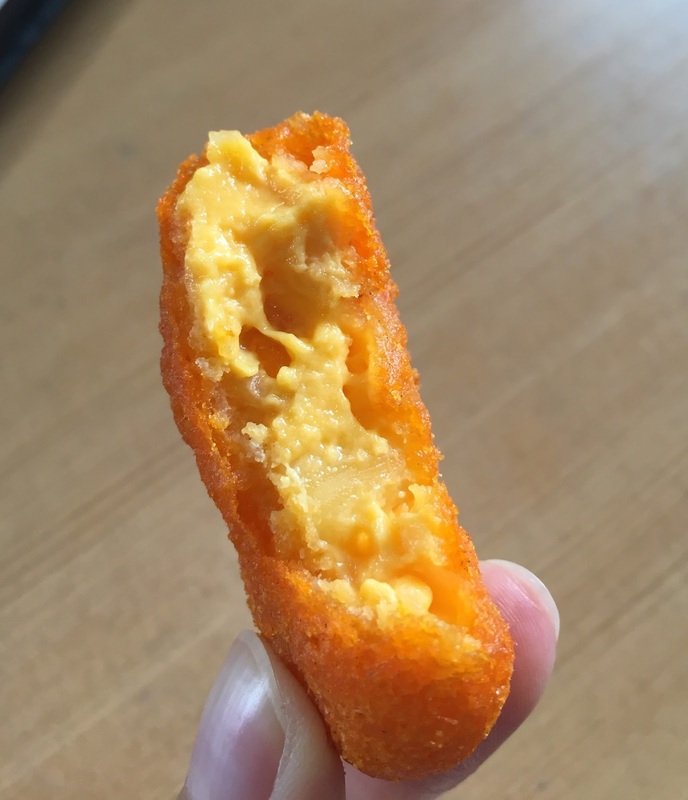 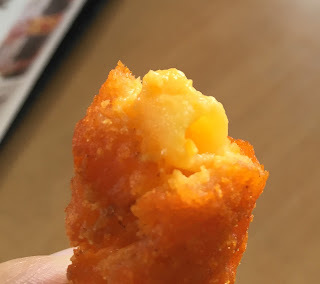 The breading was made with Cheetos and had the salty cheese flavor, and the inside was gooey macaroni and cheese, as junky as my favorite Kraft. 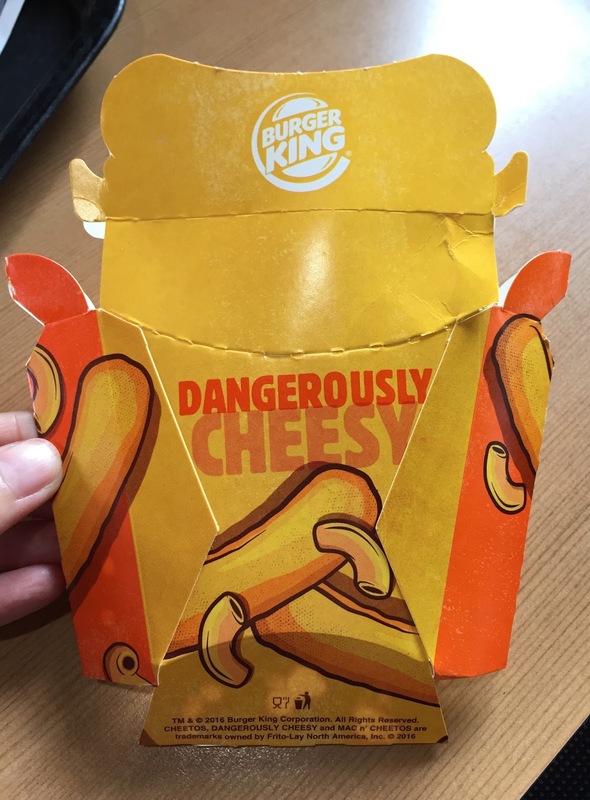 The cheese wasn't as melty or stringy as the poster though. 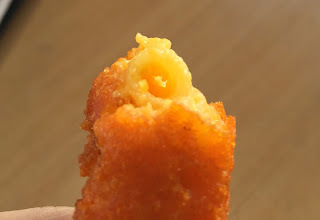 Macaroni was cut short maybe to prevent from getting chocked or to shape this snacks easily, and they're only 2cm (0.78 inch) long. 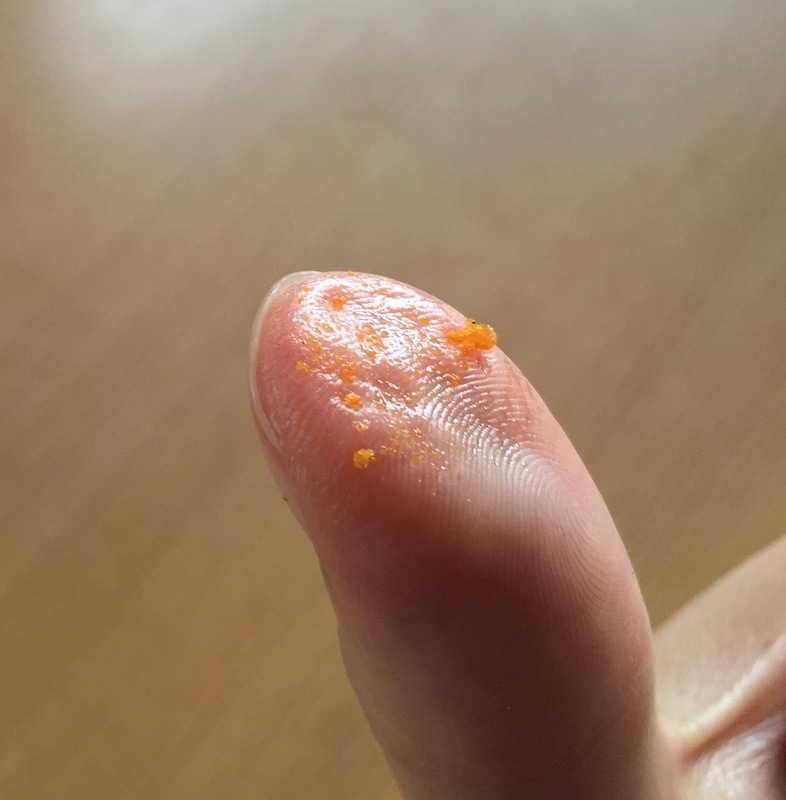 My fingers didn't get as orange as when I eat real Cheetos, but definitely greasier. It's not so dangerously cheesy as written on the package, but I really liked the crispy breading with a classic American food, mac & cheese filling.